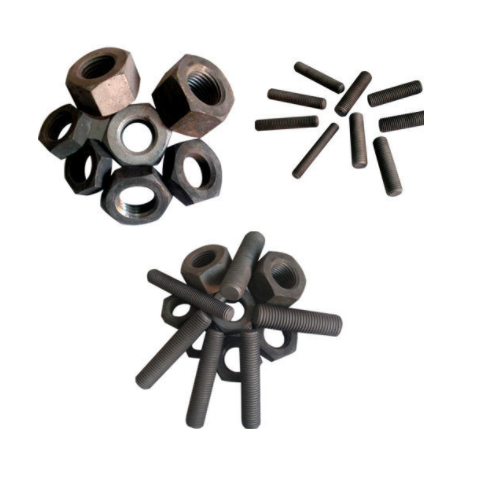 Owing to our rich industry expertise, we are offering PTFE Coated Studs, Bolts & Nuts, High Tensile Alloy Fasteners, Fluoropolymer Line Products, PTFE Non-stick Coating (Food Grade Coatings), PTFE Non-stick Coating (Roller Coatings), PTFE Bonded Metals Parts and PDVF Coating. Manufactured using quality raw material, these widely find applications in oil and chemical plants, gas plant, pharmaceutical, textile and various other engineering related industries. Furthermore, we have gained immense satisfaction of our clients by executing various projects for shipping, pharmaceutical, oil & gas, offshore rigs & platforms, chemical & process industries. Our stringent quality checking norms has enabled to make our products in compliance with international recognized standards. In addition, our executed projects are been commissioned under third party inspection agencies such as DNV, CEIL, BV, GLIS as per the requirements of our valued clients. Furthermore, by following ethical business practices and transparent business deals, we are able to cater to the markets of India, UAE and Middle East countries.